Fritz and Bruce originally owned and operated a full-service restaurant and catering business. Along with our catering orders, our customers started to ask for tent, table and chair rentals for outdoor events. 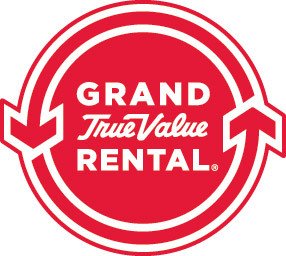 To meet our customers' needs, we began sub-renting from stores in Cape Girardeau and St. Louis. We then saw the potential for a rental store in our market, but we felt strongly that a full line store would be the only way it would be profitable. We did our research, set up a business plan and opened our store in a rented facility in March 1988. Our landlord saw our business grow and decided to triple our rent. In 1991 we moved to a new location that we build specifically for our rental store, and the rest is history. You'll find a wide selection of party and wedding rentals with us, as well as the big tools and equipment you need to get large jobs done right. We're more than just rentals though, we are your one-stop shop for any occasion. Why rent your tables and chairs and run out to find the perfect tableware, we've got you covered. We also sell safety equipment and everything else you'd need for the job. We also have propane re-fills and moving trucks and supplies available.